The Department of Automobile engineering was established during the year 2012 with an intake of 60 students to produce competent engineers in the field of Automobile Engineering. The department is headed by an experienced Professor and supported by 8 dedicated faculty members. All the faculty members are Post Graduates from various Thrust areas of Automobile Engineering. Five faculty members are pursuing Ph.D. The department faculties have good number of publication record in international and national journals and conferences. Most of the faculty members are members in various professional bodies like ISTE, IE(I), etc., and are actively participating in the activities of those professional bodies. The Industrial Co-Teaching course is conducted in collaboration with Goodwin motors, Chennai to provide the required hands on experience for the students. The department of automobile engineering has signed MOU with more than 4 esteemed core companies. The department has excellent and consistent placement record and most of the eligible students are placed in reputed organizations. 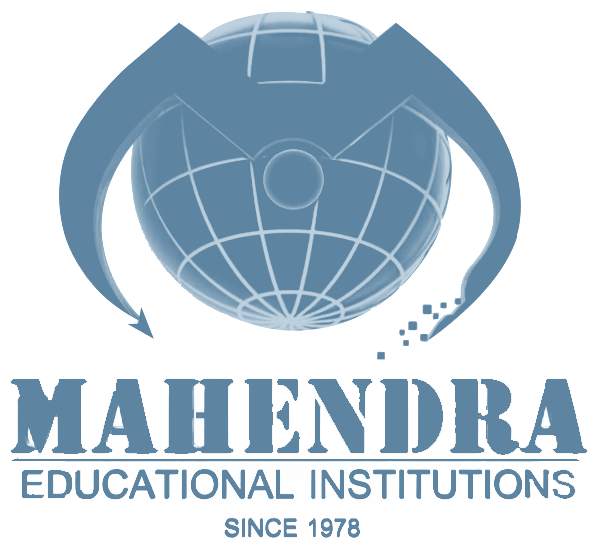 To make universally equipped automobile engineers fit for working in an interdisciplinary situation and to be a foremost department in Automobile engineering and achieve the most elevated conceptual level society through development, business enterprise and leadership in the field of Automobile Engineering. To grant outcome based education by inculcating the essential necessities of worldwide vehicle area through Institute Association. To apply Engineering techniques, learning, and professional norms applicable to state – art - of Automobile Engineering in numerous parts of present day life where it assumes an essential part. To enrich graduates to accomplish the best of their capacities to be innovators or employment suppliers. To build up the department as community for magnificence by giving coordinated organized modules in learning and research environment mirroring the global research skill. Graduates shall excel in their professional career in automobile industry and research with highest professional andethical standards to their activities by acquiring knowledge in basic engineering, mathematics, science and automobile engineering. Graduates shall exhibit professionalism, team work in their chosen profession and adapt to current trends, technologies and industrial scenarios by pursuing lifelong learning. Graduate might create employment by being a business person. Study of Automobile electrical wiring -situ and Field density of soil by sand replacement method and using core cutter method. Interfacing Sensors like RTD, LVDT, Load Cell etc. Study of International and National standards for fuels and lubricants. Study of Octane and Cetane Number of fuels. Calorific value of liquid fuel. Calorific value of gaseous fuel. Flash and Fire points of petrol and diesel. Cloud & Pour point Test. Temperature dependence of viscosity of lubricants & Fuels by Redwood Viscometer. Drop point of grease and mechanical penetration in grease. Ability to characteristic and chase the fuels and Lubricantes for the automobiles. Design and drawing of piston, piston pin and piston rings and drawing of these components. and drawing of the connecting rod assembly. Design of crankshaft, balancing weight calculations. Design and drawing of flywheel. Ring gear design, drawing of the flywheel including the development of ring gear teeth. Design and drawing of the inlet and exhaust valves. Design of cam and camshaft, cam profile generation, drawing of cam and camshaft. Complete design of clutch components. Assembly drawing of clutch using drafting software. Layout of gear box and Gear train calculations. Assembly drawing of gear box using drafting software. Design details of final drive gearing. Design aspects of final drive. Performance test of a two wheeler using chassis dynamometer. Performance test on coil spring. Brake and Clutch adjustment as per specification. Study of three wheeler chassis frame and power transmission system. Single cylinder two stroke cut section engine. Single cylinder four stroke cut section engine. Retardation test on I.C. Engines. HRD tester, Clamp on meter, Hydrometer. Adjustment of pedal play in clutch, brake, hand brake lever and steering wheel play. Air bleeding from hydraulic brakes, air bleeding of diesel fuel system. Wheel bearings tightening and adjustment. Adjustment of head lights beam. Short-Term & Value-Added Courses organized. CATIA V5 - Conceptual sketching, through to solid modeling, assembly design, and drawings. Solid works - The course is designed to be a process or task based approach to learning the individual features and functions of SolidWorks, thereby emphasizing processes and procedures for completion of any task. 2. Harita Techserv Limited Design Engineering Technical Training The training program in full time and for the five (5) months period. Upon completion of the training, Harita may offer placement opportunity for selected students. 3. Veena Motors ,Salem ,Tamil Nadu Car services In plant training Students get practical Experience.